Aug. 24th and Aug. 25th is a rare 48-hour power time to receive the combined blessings of Vishnu, the Preserver and Sustainer of Prosperity and Lakshmi, Goddess of Wealth and Material Riches. 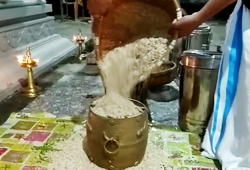 The blessings of this Prosperity couple is available in plenty on Aug. 24th, Varalakshmi Vratham (Boon-Bestowing Day of Goddess Lakshmi) and on Aug. 25th, Onam (Day of Wealth & Abundance). 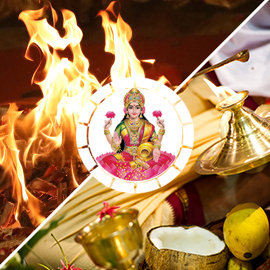 AstroVed has created a special package combining Varalakshmi Vratham and Onam services to receive multifold wealth, boons and abundance blessings from Lord Vishnu and Goddess Lakshmi. 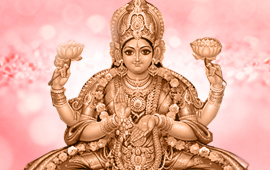 Varalakshmi Vratham is referred to as “Boon-Bestowing Friday” and is an auspicious day to invoke Goddess Lakshmi in the form of Varalakshmi who grants boons and wishes. 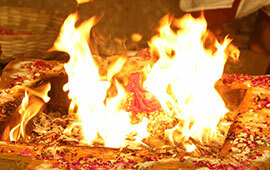 ‘Vara’ means ‘boon’ and Lakshmi in this form fulfills our wishes. 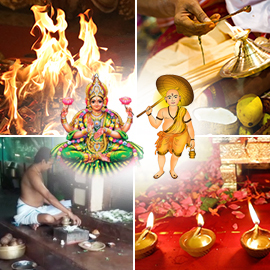 On Varalakshmi Vratham, AstroVed will be invoking the blessings of Goddess Lakshmi through Sri Suktam Homa with Lotus, Honey, and Bilva Leaves (Wealth, Power & Material Fulfillment Fire Prayer), which according to scriptures can give you affluence, boons, fertility, and power. According to traditional belief, propitiating Goddess Varalakshmi on Varalakshmi Vratham day can bless you with the combined benefits of all the eight divine forms of Lakshmi. 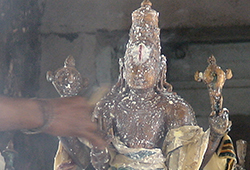 AstroVed is sponsoring one-of-a-kind elaborate ceremonies for Vishnu’s Vamana Avatar, following a century-old Kerala tradition. 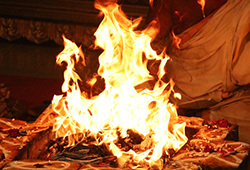 It is believed that these ceremonies can help you overcome financial challenges and receive the gift of 8 types of wealth blessings. 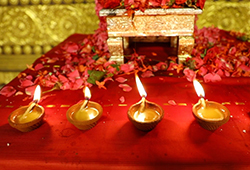 The upcoming Aug. 24th and Aug. 25th is a rare 48-hour power time to receive the combined blessings of Vishnu, the Preserver and Sustainer of Prosperity and Lakshmi, Goddess of Wealth and Material Riches. 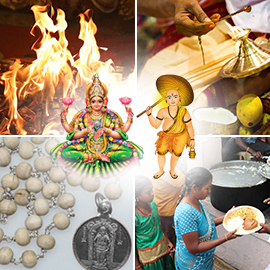 AstroVed has created a special package combining Varalakshmi Vratham and Onam services to receive multifold wealth, boons and abundance blessings from Lord Vishnu and Goddess Lakshmi. 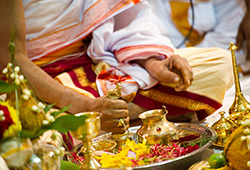 Invoke the blessings of Goddess Varalakshmi on Boon-Bestowing Day and Vishnu on Onam. 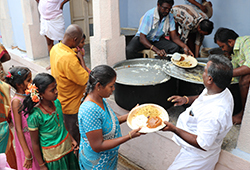 The Friday before the Full Moon in the Tamil month Aadi is called a “Boon-Bestowing Friday” and is an auspicious day to invoke Goddess Lakshmi in the form of Varalakshmi who grants boons and wishes. 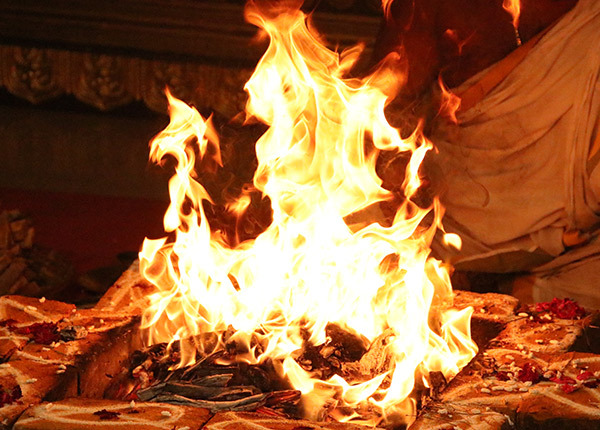 On this boon-bestowing day, AstroVed will be performing Sri Suktam Homa (Fire Prayer) by offering three sacred items (Lotus, Honey and Bilva Leaves) that are close to the heart of Goddess Lakshmi. Propitiating Goddess Varalakshmi with austerity and pure devotion can bestow you with affluence, boons, fertility, power and wealth.